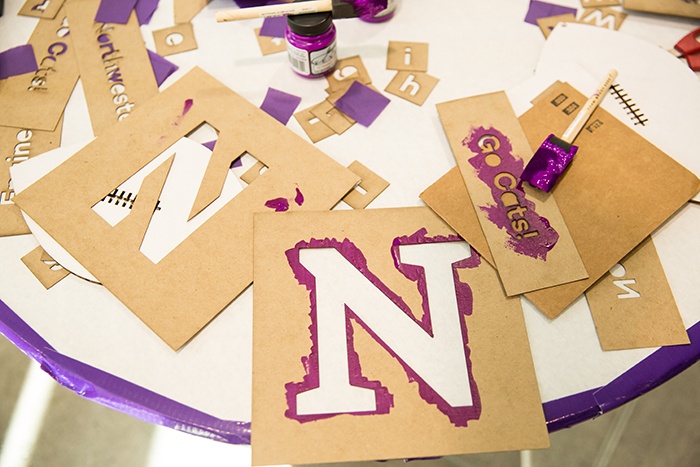 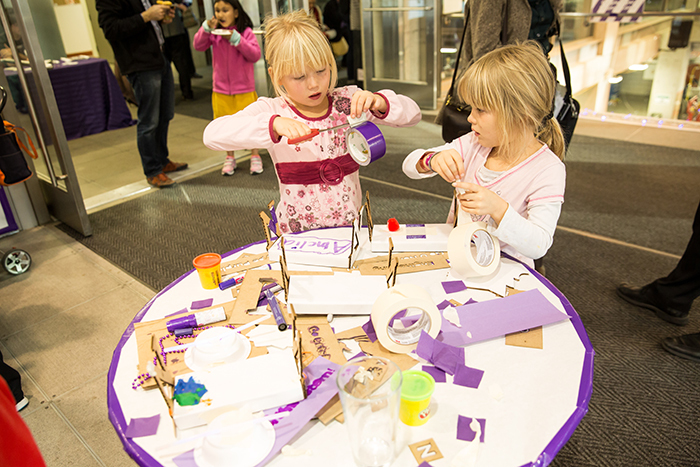 Segal celebrated Northwestern’s homecoming weekend in style with its third annual homecoming event Prototype Purple, where the Segal Design community came together to create items to show off their Northwestern purple pride. 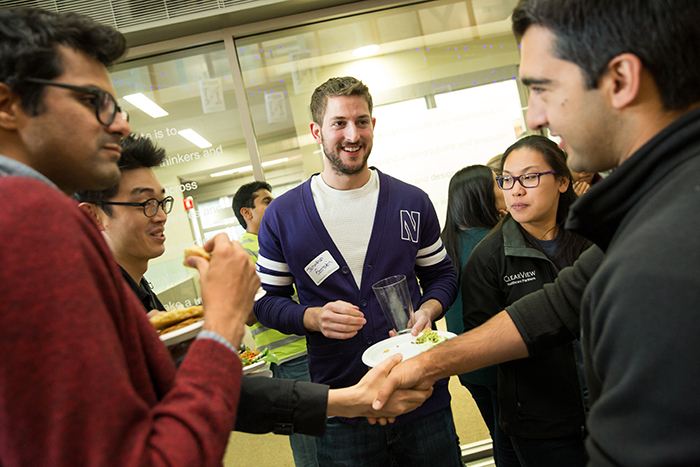 With nearly 200 in attendance, it was a packed house as Segal students, alumni, faculty, family and friends spilled into Ford to socialize and reminiscence over bites and brews. 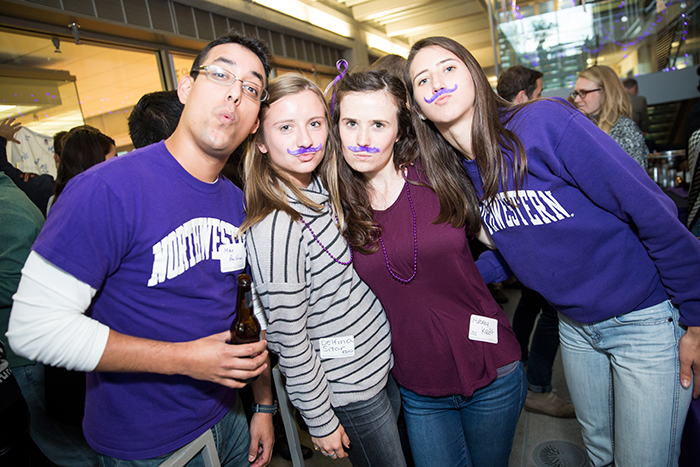 But drinks weren’t the only thing flowing that evening. 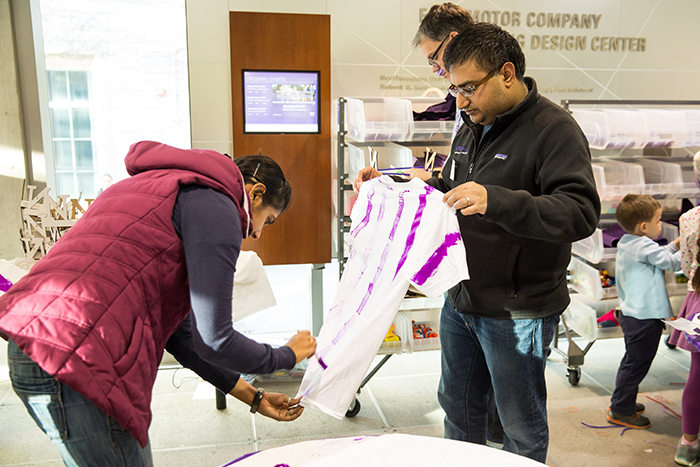 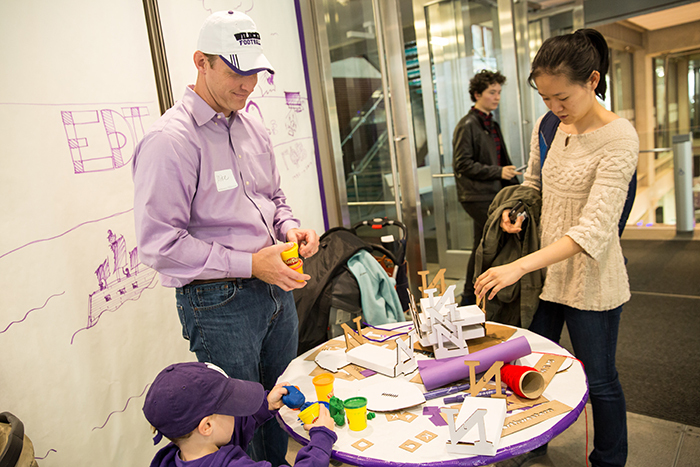 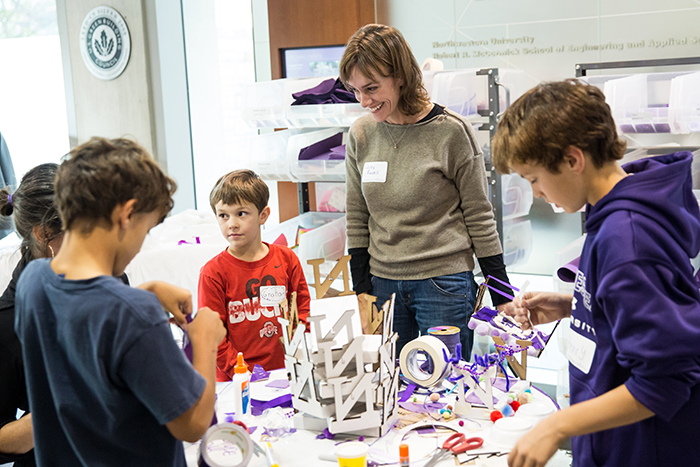 Prototype Purple-goers tapped into their creative juices as they got hands-on decorating t-shirts and miniature models of parade floats. 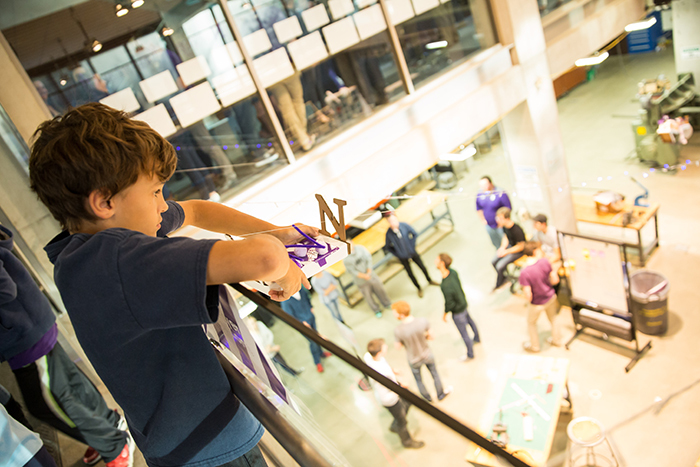 Decked out in purple, the completed floats raced along fishing line hung from the upstairs banister down into the workshop. 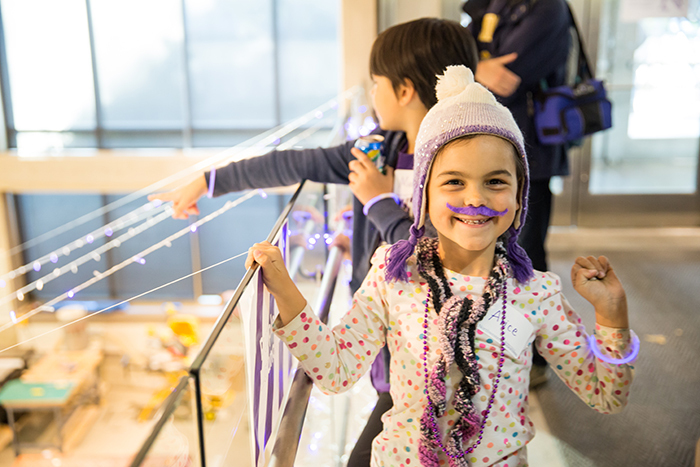 Excited children and family members cheered their floats on from above. 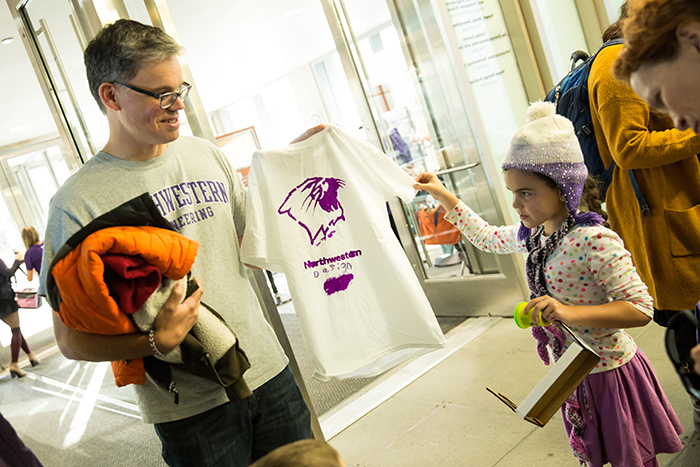 Following an hour and half of crafting and mingling, the crowd headed outside to Ford’s front lawn for front-row seats to watch Northwestern’s Homecoming Parade.